5* WELS. The most frequently specified stainless steel hinged grate urinal in Australia, manufactured in custom lengths to suit. 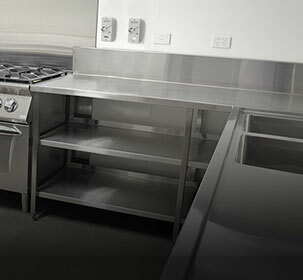 Floor Mounted and Recessed models available. 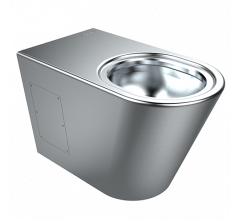 The BRITEX Sanistep Urinal is the most frequently specified stainless steel urinal in Australia and can be found in many of Australia's iconic sports and entertainment stadiums. 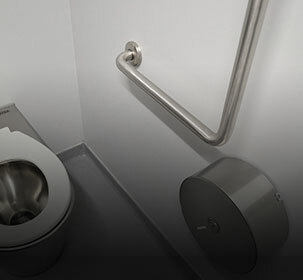 Manufactured from heavy duty grade 304 stainless steel, Sanistep urinals are hand fabricated and fully welded with sturdy reinforcement to the rear, providing a sound structural finish. 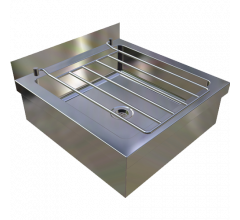 Sanistep urinals incorporate a hinged floor grate to allow for ease of cleaning and feature our unique weir style sparge, which enables the water to flush evenly across the urinal with minimum water and maximum efficiency. 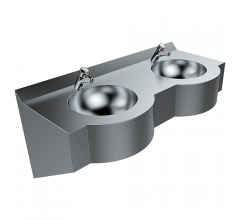 The Sanistep urinal is fully compatible with the WELS 5* rated Britex Smart Saniflush Sensor System, providing a fully certified WELS 5* rated slab urinal fixture. WaterMark and WELS certified as required by plumbing regulations and government legislation. Available in 'L' or 'U' shaped configurations. 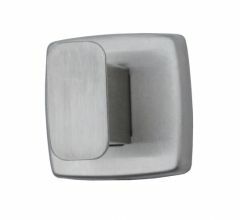 BRITEX S.S. Recessed/Floor Mounted Sanistep Urinal - XXXX mm Long. 5* WELS rating and WaterMark Level 1 certified. Complete with hinged floor grate and BRITEX Smart SaniFlush Sensor System (WELS 5*) - Product Code USAN. The above text is provided for replication into project specification schedules. RED TEXT may denote: 1) a variable where one option only is to be selected, 2) a nominal dimension (e.g. XXXXmm) that needs to be specified, or 3) an optional feature that can be removed if not required. Please refer to the product data sheet for additional details.